This platter of custard apples were perfectly ripe and the most delectable post run noms. I literally devoured this whole platter in less than 15 minutes. Whilst I was chowing down on this amazing meal, my housemate kindly informed me that, ‘Olivia, you eat like a pig.’ Haha, I am pretty sure I was eating like a pig, oh and also spitting the millions of seeds back out. I love custard apples so much but the seeds are pretty annoying when you’re starving!! I had a really amazing run today. My longest run in quite some time. I am pretty sick of my running playlist at the moment and I decided it would be fun to listen to an audiobook whilst I ran. I chose ‘Into the Wild’ as I loved both the film and the book. I really feel like I can relate to Chris McCandles in a lot of ways and though it comes to a tragic end, it is an amazing story. The book was narrated beautifully and the miles quickly ticked away. Before I even knew it I had ran 8 miles! I feel super comfortable running in my Vibram Five Fingers now, and my calves are not even sore the next day. 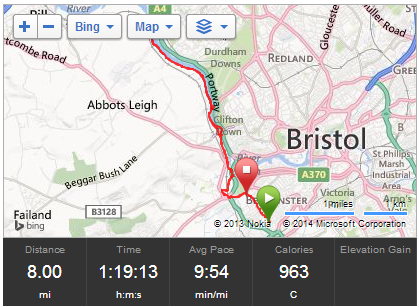 I think listening to audiobooks on my ‘long’ run is going to be my new thing! There are so, so many books that I want to read but I feel like I don’t have the time at the moment. I am however reading Born to Run for the fourth time as I find it so inspiring. Jen is my absolute fave character. In other news today, I started a new knitting project as I was inspired by my housemates when I found them all doing craft projects this morning. I’ve written a letter to my friend and I’ve eaten a LOT of food!! I’ll leave you with the trailer for Into the Wild. I highly recommend that you watch it – it is a brilliant film. 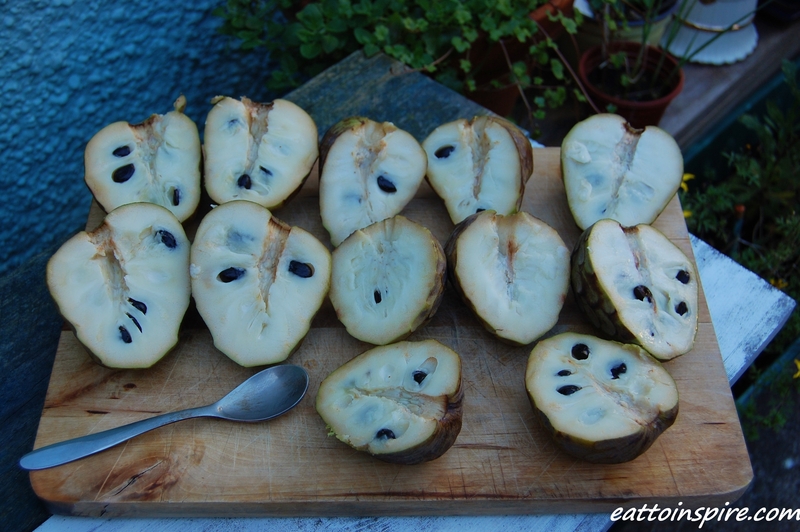 I can live off custard apples….